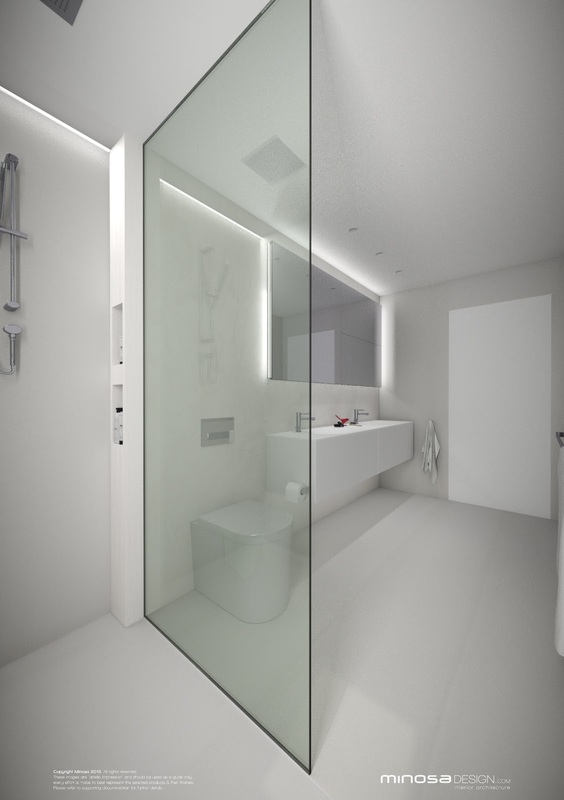 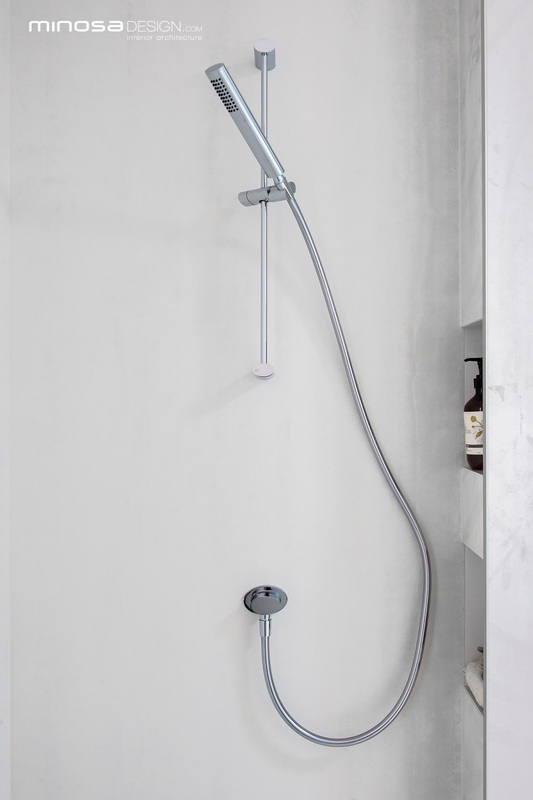 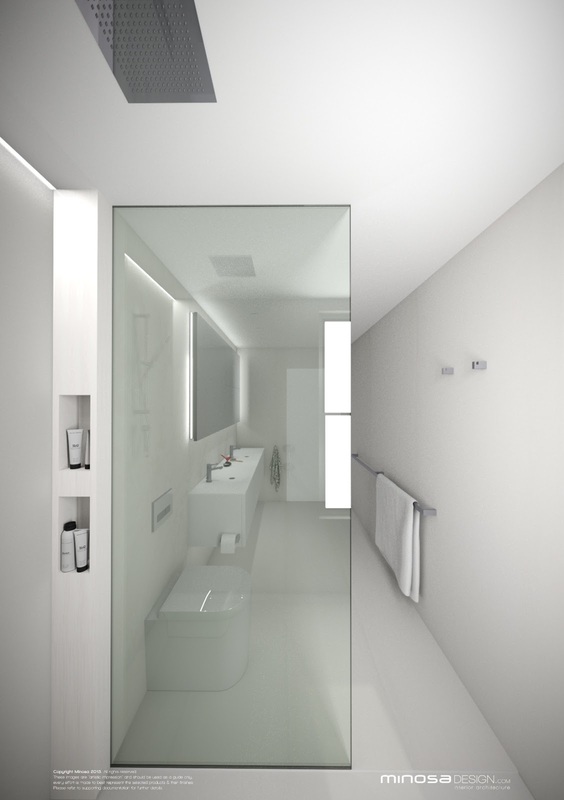 Small Bathrooms can always be challenging, the best thing you can do with these small bathrooms is apply good design practice and thought. 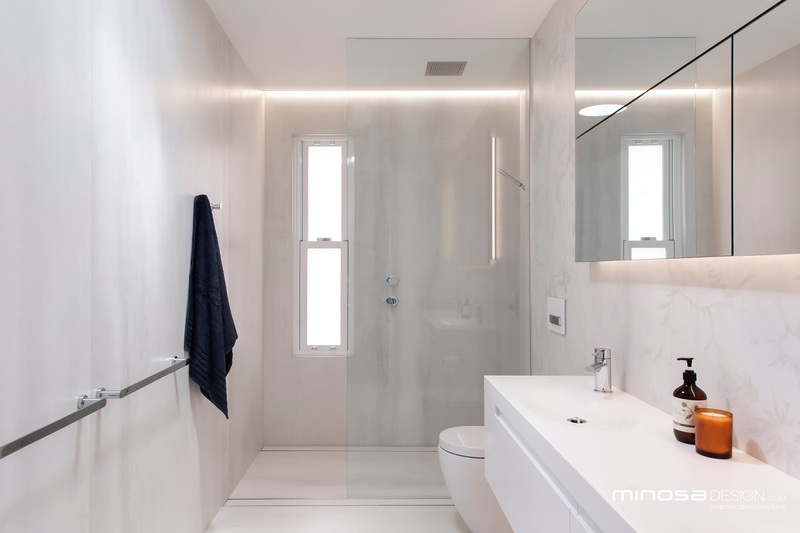 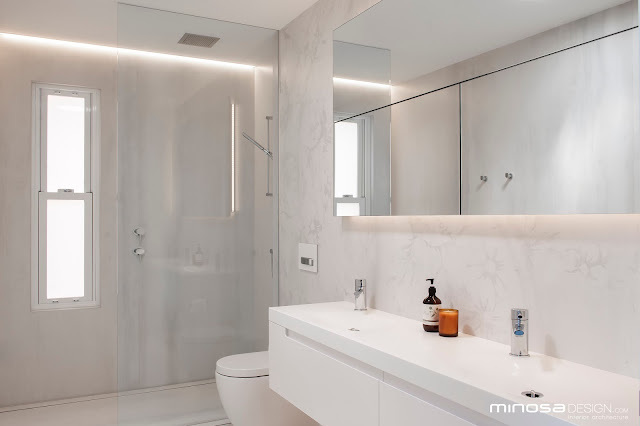 This bathroom was no different, all services are placed on one wall to create a good transition thru the space, efficiently using the available floor plan. 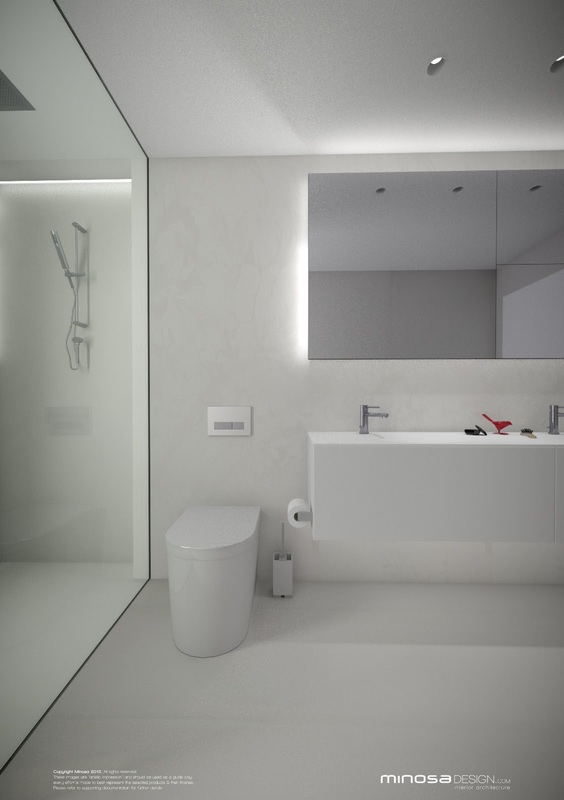 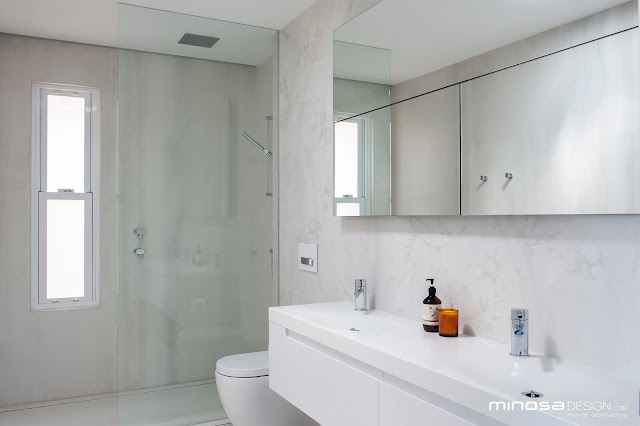 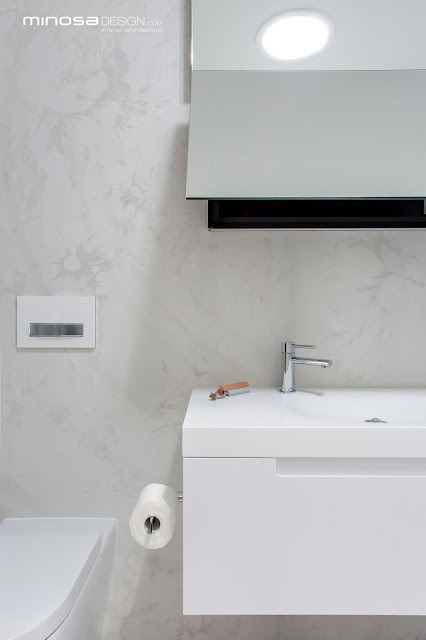 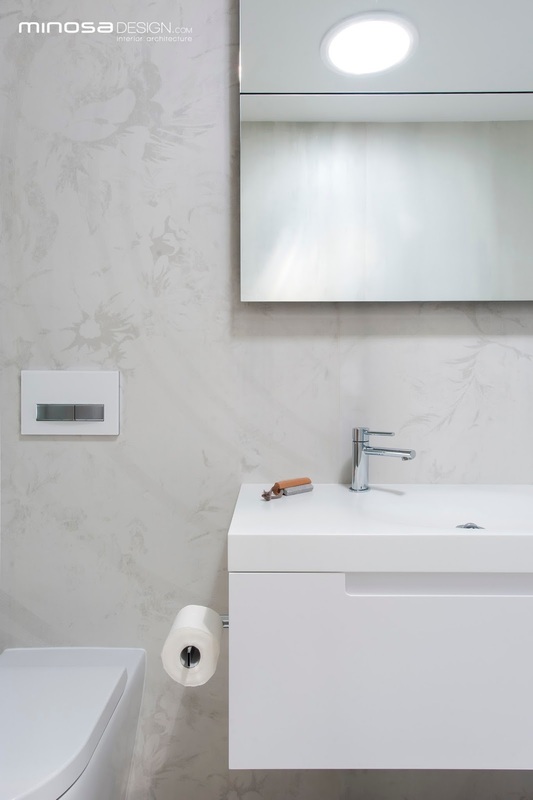 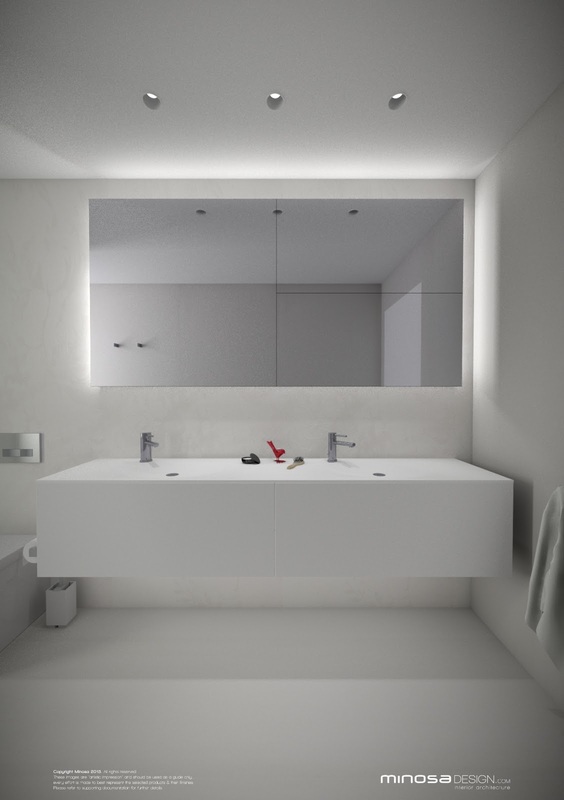 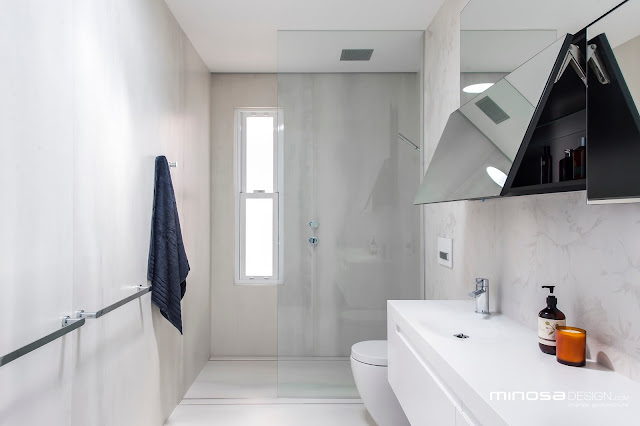 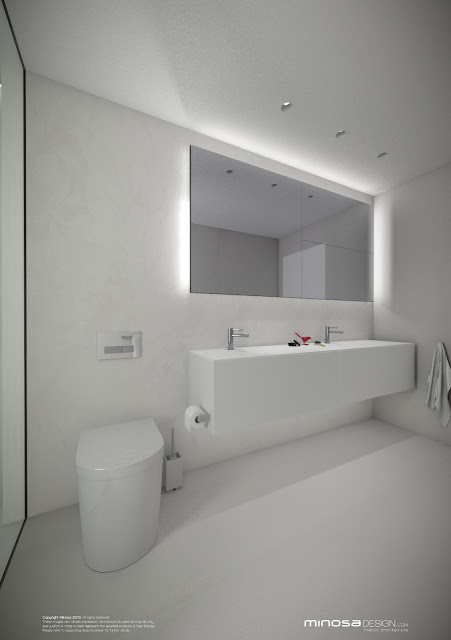 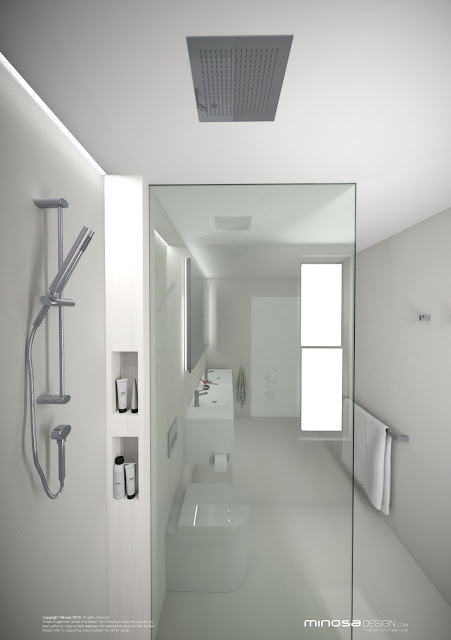 Products used are the Gessi Ovale tapware range, Minosa ScoopED, Minosa Hung Lift Shaving cabinet and the New Milana drawer unit. 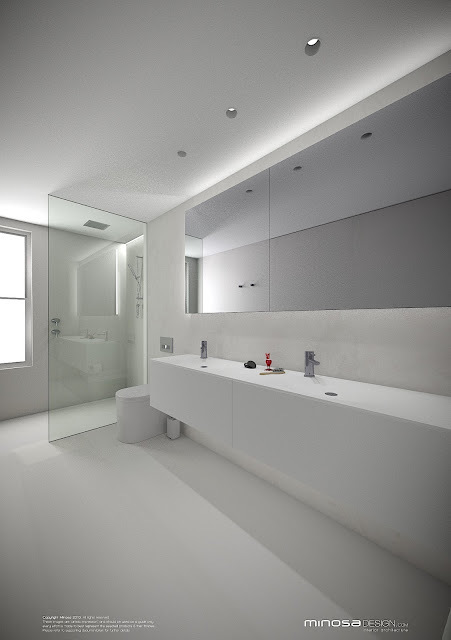 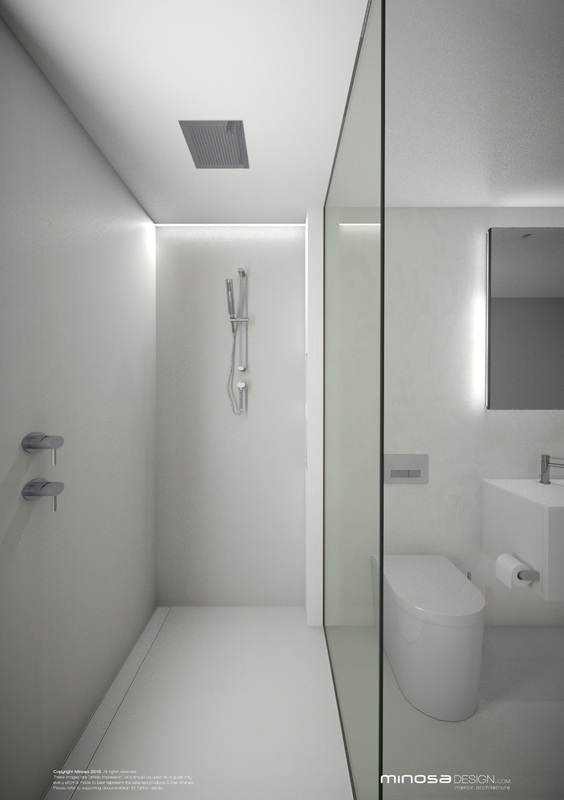 Recessed LED lighting illuminates the space.